Become a Jedi Master of pancakes with this Star Wars-inspired food art. All you need are a few ingredients and the Force! First, heat pancakes according to package instructions. 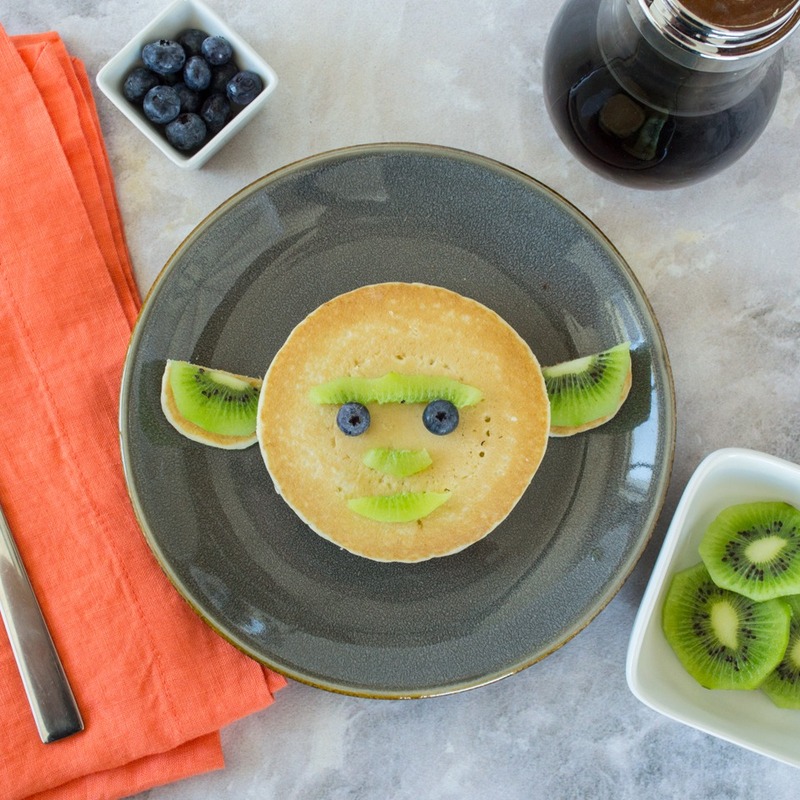 Cut one Mini Pancake in half to form Yoda’s ears and then assemble with a regular-sized pancake on a plate. Cut a few slices of kiwi and trim into shapes to make the ears, mouth, nose and brow. Add the blueberry eyes, feel the Force, and dig in!